Save $25 on your birthday and get exclusive member coupons when available. See McCormick & Schmick's most recent offers and specials. Purchase an entree and receive a complimentary creme brulee when you dine at a McCormick & Schmick's restaurant near you. Must present coupon when ordering. 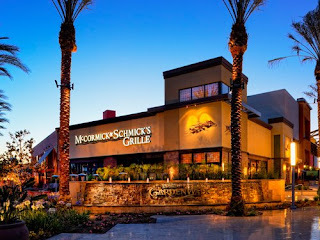 Print coupon for a $15 discount on the purchase of two dinner entrées or $10 off two lunch entrées at a McCormick & Schmick's restaurant near you. See coupons for more details.